Below are the ECGBL Biographies of the Conference and Programme Chairs, Key Note Speakers and Mini-Track Chairs. 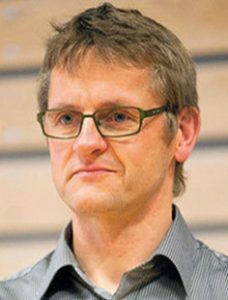 Lars Elbæk is an Associate Professor at the Department of Sports Science and Clinical Biomechanics and the University of Southern Denmark and coordinator of the Sports Science Innovation and entrepreneurship program. He has worked with business innovation in the project "Play and Learning - Kids'n Tweens Lifestyle". He has through projects and through his Ph.D. training in-depth knowledge and experiences of doing interaction design and design research in sports, adapted physical activity, play approaches and pervasive computing. That in collaboration with both NGO’s, public institutions and private companies and thereby experience in working in participatory innovative processes with external partners. Md. 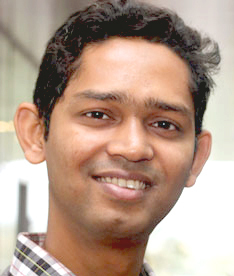 Saifuddin Khalid is an Associate Professor in digital design and movement at University of Southern Denmark. He also works at the department of digitalization of Copenhagen Business School as an external lecturer. With a background in the fields of computer science (BSc & MSc), business informatics (BSc), human-centered communication and informatics (PhD), Khalid works on IT systems' development, integration, and adoption processes. His research contributes in the multi-disciplinary fields of interaction design, service design, educational technology, diffusion research, health informatics, and sports science. He received best teacher award 2016 at the Faculty of Humanities, Aalborg University, Denmark. 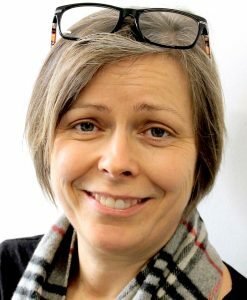 Gunver Majgaard (PhD) is Associate Professor at Embodied Systems for Robotics and Learning, Mærsk Mc-Kinney, University of Southern Denmark. She holds PhD in Robotics and Learning processes, which focused on design of educational tools and learning processes. The research focused on usage of physical-digital media and children as co-designers. Her research interests are technology in emerging technologies such as Mixed Reality; design of digital educational tools; game-based learning; participatory design processes; learning processes; didactical design; program and curriculum development. She has developed the engineering program Learning and Experience Technology. Andrea Valente is Associate Professor and have a background in computer graphics from Torino University in Italy, and I worked with formal languages, code mobility and object-oriented type systems (during the PhD). I like mixing these subjects and this is why I am currently researching on educational tools for teaching Computer Science and other abstract concepts as early as elementary schools (e.g. the c-cards project and paper Turing machines). One of the goals of this research is to have simple toys (tangibles) that can be used to visualize and concretely operate with theoretical concepts like information or computation. Other areas of interest are e-learning especially in children education, real-time web systems and social media, formal methods and software engineering. 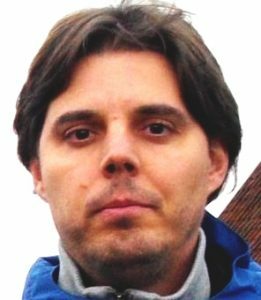 Simon Egenfeldt-Nielsen (PhD, Psychologist) is CEO of Serious Games Interactive , which he founded in 2006. Today it has around 15 employees. He has studied, researched and worked with computer games for +15 years. Over the years he has been involved in developing +150 games for different clients like Maersk, Metro, Opel, and World Bank. 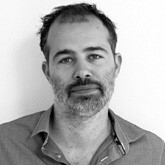 He has been involved in developing several award-winning series like Global Conflicts and Playing History. He has been involved in +10 primarily European research projects within game-based learning. 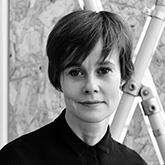 Helle Marie Skovsbjerg is the first Danish professor in play and employed at the Design School Kolding. Her research focusses on the mood perspectives of play. A concept created through empirical work with children. Thereby Helle Marie Skovsbjerg is investigating the unique Danish DNA for designing play and therefore contributing with knowledge of designing game-based learning. Dr Panagiotis Fotaris is Senior Lecturer and Course Leader for Digital Games Development and Computer Science for Games at the University of Brighton, UK. He is Senior Fellow of the Higher Education Academy and has previously held positions at the University of East London, University of West London, King’s College London, Abertay University, and University of Macedonia. 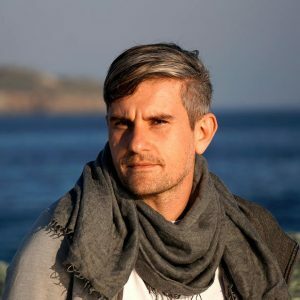 Additionally, Panagiotis has spent a decade in the Creative Industries as graphic/UX designer, full-stack developer, radio producer/ DJ/remixer, and music/videogames journalist. Due to his diverse background that combines computing with applied arts, games, music, and learning technologies, Panagiotis’s current research interests focus on the pedagogic potential of escape rooms, immersive technology, virtual/augmented environments, and games in the context of computing and design education. Dr Bernadette Spieler has a PhD in Engineering Sciences. She is a University Assistant/Lecturer at Graz University of Technology, Institute for Software Technology. Her work is focused on how to encourage female teenagers in particular with playful coding activities and Pocket Code (a tool developed at TU Graz). Moreover, her recent work is related to gender and diversity, gender-inclusive learning environments, gender sensitive (informatics)-didactics, game based/mobile learning, and constructionist gaming. During her research, she considered gender differences in interest, self-belonging, and self-efﬁcacy towards coding and gaming. As a gender and diversity expert, she performs workshops and trainings on gender-related topics.